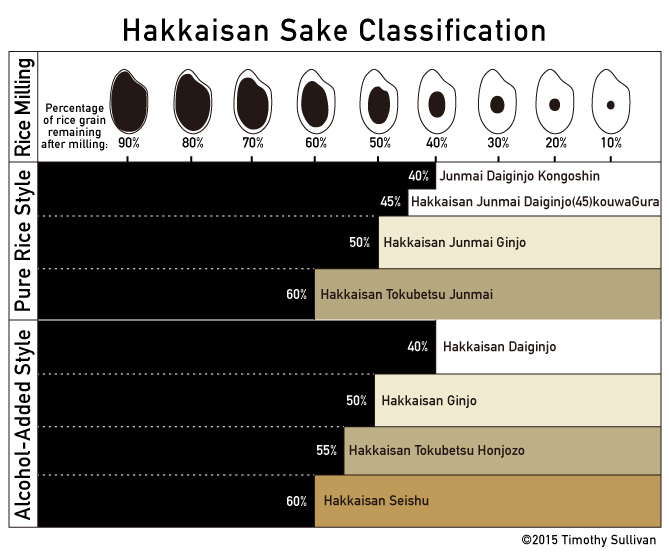 As this chart indicates, the six main sake classifications are influenced by two main factors: Sake Ingredients and the Rice Milling Percentage. 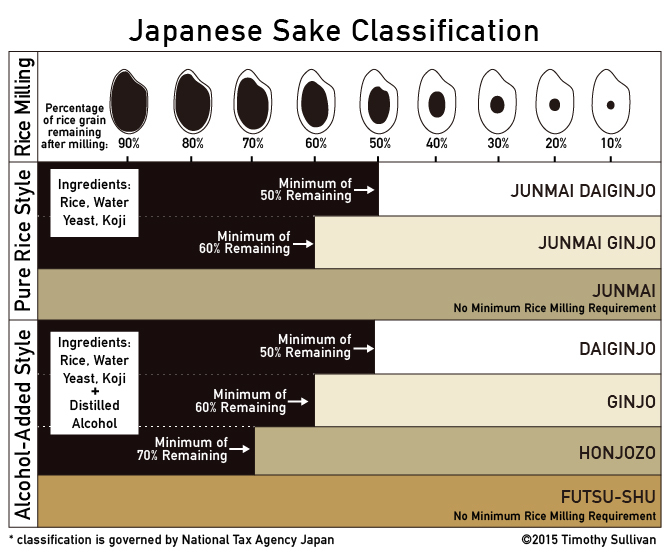 Junmai means “Pure Rice” in Japanese. When you see this in a classification name, you know the ingredients are only rice, water, yeast and koji.